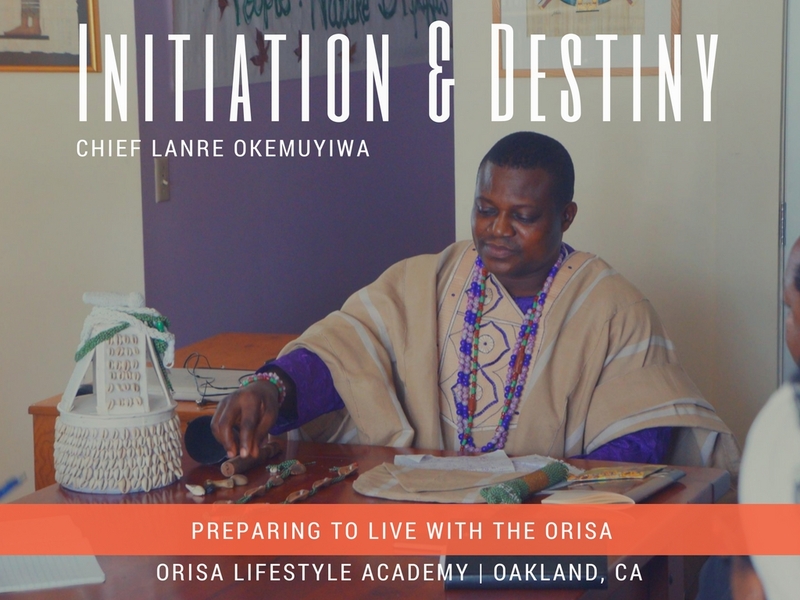 CHIEF OLANREWAJU OLAIFA OKEMUYIWA -APESIN ONIFA GBAGURA ABEOKUTA and the AMUFAWUNNI AGBAIYE of ILE IFE will present a comprehensive 2 PART LECTURE and HANDS ON WORKSHOP on INITIATION & DESTINY. This will be super informative. If you've already been initiated, you will learn more about the life "after the grove." If you're thinking about being initiated, you will learn more about the spiritual purposes for why initiation is important. Every rite of passage and initiation can be characterized as a traumatic experience that activates the spirit in some way or another. Even when we have no access to formal ritual and ceremony, the path of destiny guides us into precisely those experiences that will enable spiritual awakening. From this angle, we understand that all of life is initiation. Living the medicine means recognizing this truism and deliberately selecting those experiences that will heal your life and heal the lives if the people you were born to serve. This workshop and lecture will offer carefully crafted experiences that are designed to raise awareness, facilitate personal ritual and support meaningful change.